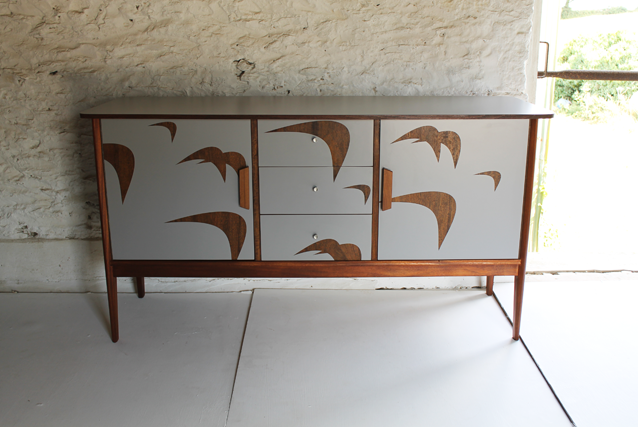 This is a 1960’s Vanson sideboard has been laminated with a Tornado grey formica. 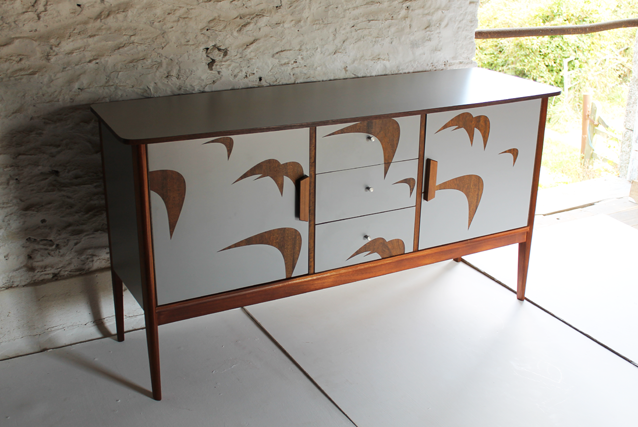 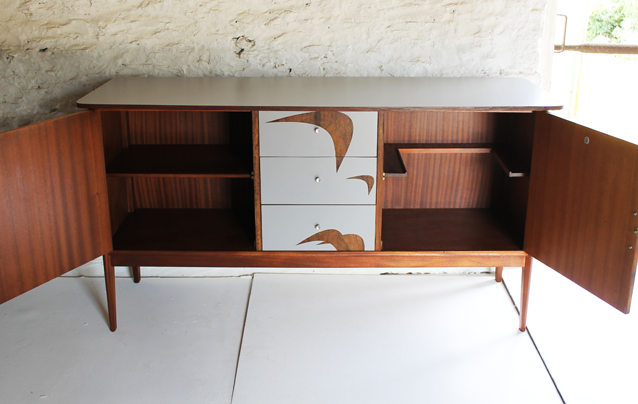 The signature bird design has been cut out to reveal the walnut veneer underneath. 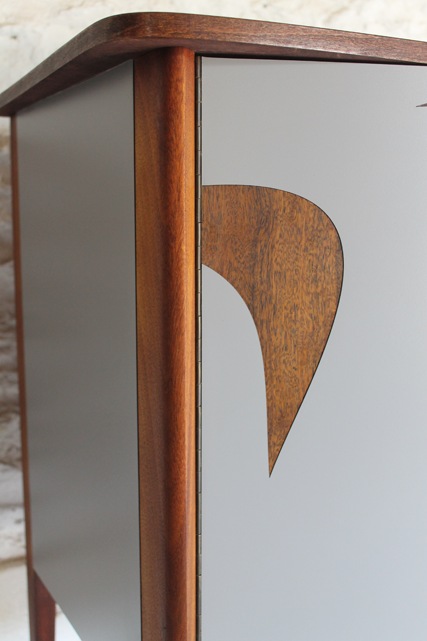 The cupboards are extremely spacious and the drawers are deep. 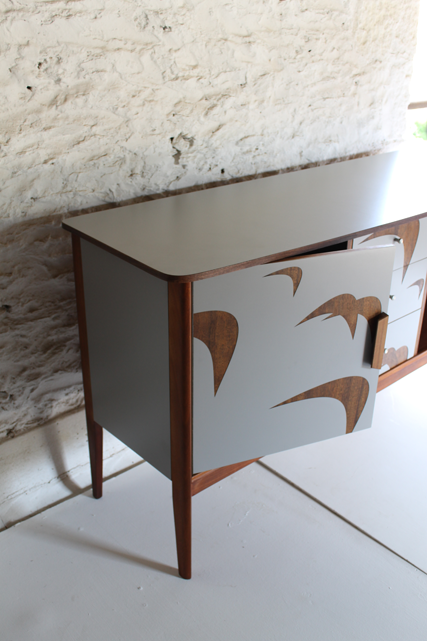 Its a lovely height for maximum storage.